Even premium models like Torinos are still halfway affordable. Top of mind when someone mentions North American Fords has to be the Mustang. However there are lots of other models that also come with interesting looks and with punchy V8s. Historic race enthusiasts might fancy a Falcon Sprint similar to the one raced by Jim Richards. Or a Fairlane GT Hardtop that shares some panels with local versions but costs twice the money. For a classy means of moving your rubbish to the tip, Fairlane-based Rancheros cost around $25,000. 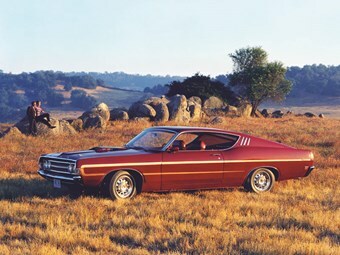 Finally how about a Torino? Later ones look like an XA Hardtop on steroids but with a 351 V8 they still cost less than the local car. Big-block GT429s can exceed $50,000.